Protect wires, lines, and cables from heat damage with Reflect-A-Tape, Cool Foil Tape, or Racer's Tape. 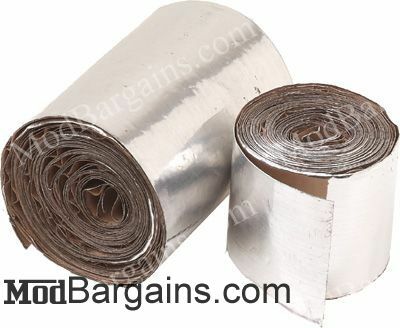 Using any of these tapes is an excellent way to insulate components without removing them. Increase your car or truck's efficiency, and reliability by protecting wires, cables, and lines from heat damage. Cool foil tape is very lightweight and reflects radiant heat away from wires, lines, and cables to prevent heat damage to them. Cool Foil Tape is an excellent means to finish off your engine bay by preventing wires from fraying, and giving your engine bay a bit of shine. This tape will withstand temperatures of up to 1000°F continuous heat, and 400°F of direct heat, so there is no need to worry about the tape failing on you. Reflect-A-Tape also reflects radiant heat away from wires, and cables. It can also be used as a means to hold other thermal insulation in place. 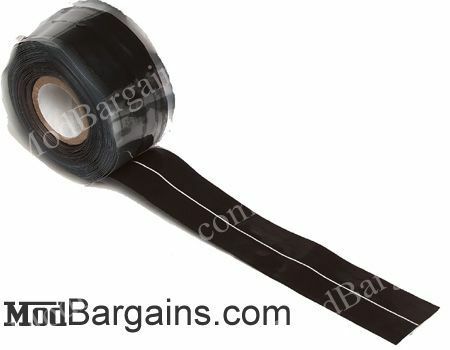 Reflect-A-Tape is perfect for a quick, on-the-go solution to bothersome heat problems. Its durable cloth construction makes it longer lasting than similar heat shielding products. This tape can withstand temperatures of 1100°F of continuous heat, and 500°F of direct contact. Installation is simple because the tape is easily cut and has a high-temperature self-adhesive backing. Racer's Tape provides heat protection that can only be broken with a knife. The tape is self emulsifying, meaning that it will stick to itself and form a very strong bond to protect your wires from heat damage. While the tape does this, it will not harden, and will remain flexible but will not unravel. 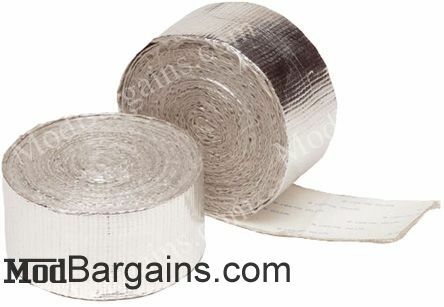 Racer's tape is an excellent way to quickly insulate wires. Racer's Tape is rated to 500°F continuous.